Pound-for-pound superstar TERENCE “Bud” CRAWFORD is ready to conquer the welterweight division. Crawford, the former lightweight champion and undisputed junior welterweight kingpin, will challenge JEFF “The Hornet” HORN for the World Boxing Organization (WBO) welterweight title on Saturday, June 9, at the MGM Grand Garden Arena in Las Vegas. Promoted by Top Rank, in association with Duco Events, tickets on-sale and broadcast information for the Crawford vs. Horn world title bout will be announced shortly. “It’s exciting to see Bud Crawford move up to the welterweight division. In Jeff Horn, he fights a big, rough, tough welterweight who won the title from one of the greats, Manny Pacquiao,” said Hall of Fame promoter Bob Arum, founder, and CEO of Top Rank. Crawford (32-0, 23 KOs), from Omaha, Nebraska, is coming off a history-making performance in becoming the undisputed junior welterweight champion of the world. 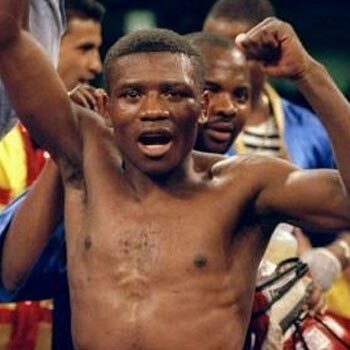 “Bud” defeated the previously unbeaten Julius Indongo in impressive fashion when he blasted the World Boxing Association (WBA) and International Boxing Federation (IBF) world champion with a sensational third-round liver shot knockout. That fight took place last August 19 in front of a sold-out crowd at the Pinnacle Bank Arena in Lincoln, Nebraska. With the win over Indongo, Crawford became the first 140-pounder to unify all four major world titles, and the third male boxer in history to accomplish that feat—joining Bernard Hopkins and Jermain Taylor. Crawford unified the WBO and World Boxing Council (WBC) titles on July 23, 2016, with a thoroughly dominating unanimous decision over the previously undefeated Viktor Postol. He knocked down Postol twice in the fifth round and fought out of the southpaw stance for nearly the entire fight. Before unifying all four major world title belts against Indongo, Crawford notched TKO victories over 2008 Olympic gold medalist Felix Diaz and the big-punching John Molina, Jr. Following the 2012 Olympics, Horn (18-0-1, 12 KOs) had a meteoric rise through the professional ranks, winning the WBO Inter-Continental and Oriental belts. On April 27, 2016, he knocked out former IBF welterweight champion Randall Bailey in the seventh round. Later that year, Horn survived a third-round knockdown to stop three-time world title challenger Ali Funeka in the sixth round. The Funeka win earned Horn the shot at Pacquiao. After his “Cinderella Man” showing against Pacquiao, Horn, returned to the ring last December 13 and successfully defended his title by stopping Gary Corcoran in the 11th round. Horn is a beloved figure in his home country, and he has used his championship platform to inspire victims of bullying. Horn, who has openly discussed his experiences being bullied, entered trainer Glenn Rushton’s gym as a teenager hoping to learn self-defense and now is ready to shock the boxing world once again.